To cover an unattractive construction site, Parker Design worked closely with Spiral Colour’s hoarding team. 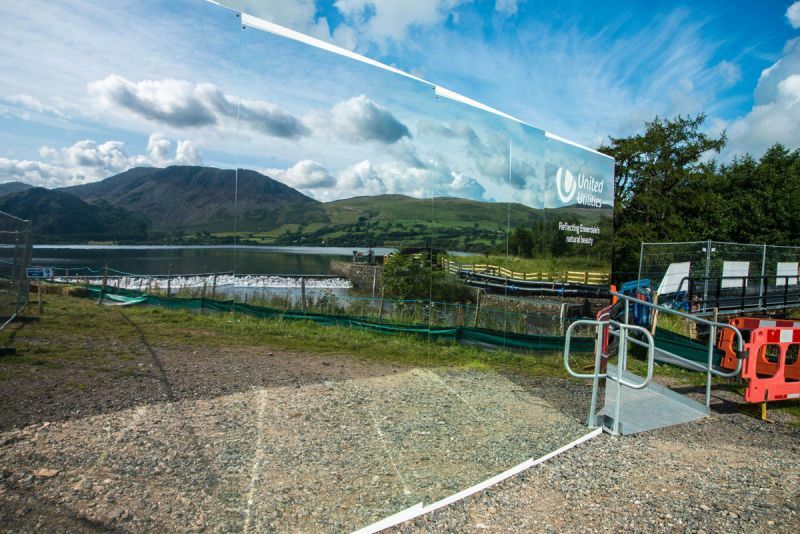 The project is located on one of the largest lakes in the Lake District National Park in England, Ennerdale Water. The site is beautiful and gets heavy foot traffic, so the designers needed to find a hoarding material that wouldn’t take away from the scenery. Spiral Colour suggested a familiar material, a reflective aluminum composite known as Dibond Mirror. The material has the same reflective properties as a traditional mirror but is incredibly lightweight and unbreakable. 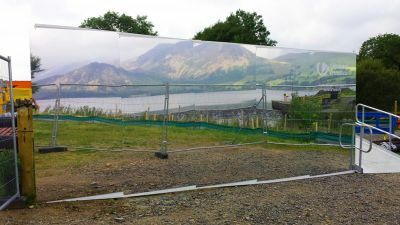 The use of the mirrored product allowed the hoarding to be virtually camouflaged. Parker Design and Spiral Colour worked under strict restrictions from United Utilities, the largest listed water company in the UK. United Utilities wanted a hoarding project with a low environmental impact, prompting the decision for an aboveground hoarding system. A small portion of the mirrored material was printed with United Utilities logo using Spiral Colour’s Jetrix flatbed press in primer and white ink. Although traditional hoarding can produce eyesores, especially in a serene environment like a National Park, the team at Parker Design in collaboration with Spiral Colour, created a truly innovative approach to hoarding design. DISCLAIMER: Dibond® Mirror is not sold in the United States.